The following is a response to Chris Woodard’s post on www.FreeLibertyWriters.com. Woodard’s post is in bold quotes below, and the post in its entirety can be found here. Nice jab. But I think the dozens of radio interviews, op-eds, and publications would point to a different conclusion in the public at large, particularly in regard to my opinion vs. yours. Not true. American case law IS the Constitution today, unfortunately. Once Oliver Ellsworth, John Marshall, et. al., began the process of bringing the British common law system to America, it made the Constitution largely irrelevant. We have a written Constitution as ratified by the founding generation that is at odds with the unwritten document the general government uses in Washington D.C. forged by decades of federal court decisions. As Marshall himself basically said in McCulloch v. Maryland in 1819, as long as a law is within the letter and spirit of the Constitution, it is valid. Roberts cited that opinion in his recent decision. I do not agree with it (which is why I brought that up in my piece on Obamacare), but that is how the federal court system and the Congress operate. Additionally, law students in a “Con law” class are only subjected to the case law of the federal court system, not the Constitution itself. The system is now beholden to common law. You have to have a general understanding of Supreme Court case law if you wish to argue against the idiots who abuse the Constitution. I believe that many of those decisions should be ignored by the people and the States, but it is important to understand them. Knowing thy enemy is as important as knowing thyself. “President Obama has refused to enforce the ‘Defense of Marriage Act’. He stated this refusal was on Constitutional grounds. Constitutionally, can he make this decision? If so, how, if not , how, both constitutionally? Either way, do the States have the Constitutional authority to legislate marriage? I will handle both of these issues together, since your stated positions on both display your inconsistencies. I agree with your assessment of the Defense of Marriage Act. The general government has no constitutional role in marriage and the law is irrelevant and for that matter redundant. The Act declares that States do not have to abide by marriage contracts issued in other States. As per the Constitution as ratified in 1787 and 1788, the States already had the ability to ignore marriage contracts from other States. Marriage is not an enumerated power of the general government and thus is left to the States. If we live in a federal republic—which the Constitution maintained following the Articles of Confederation—then DOMA is unnecessary. 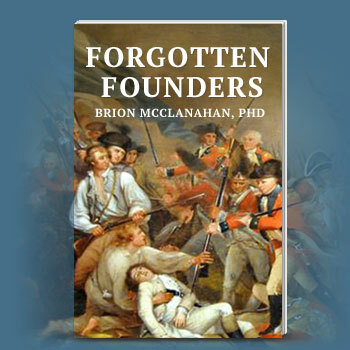 And most importantly, the majority of the founding generation rejected incorporation. James Madison attempted to insert an incorporation amendment in the original Bill of Rights and it was defeated. Hence, clearly, everyone understood that the Bill of Rights only applied to the general government, not the States (even John Marshall’s court upheld this position in the Baron v. Baltimore decision of 1833). The 14th Amendment did not change that. The men who ratified it and wrote it never discussed incorporation or intended the Amendment to do so (it was never legally ratified by the way). It was only in the twentieth century that incorporation became an issue. Through incorporation (KKK member, New Dealer, and progressive SC Justice Hugo Black was its greatest champion), the court has destroyed the federal republic of the founding generation and replaced it with a national consolidated government that does not rely on the Constitution, simply the case law or common law system of the federal courts. By supporting the McDonald decision, you are buying into a national government where the States become irrelevant corporations. This is a dangerous position, because the Court can incorporate any “right” they choose and by default make them up if they choose to do so. You cannot advance a position where you need to simply “read” the Constitution and at the same time advocate incorporation. The two positions are incongruous. In short, the McDonald opinion, while advancing a gun rights agenda, is a bad decision for the liberty of the people and destructive to the Constitution as ratified by the founding generation. If the State of Illinois wants to protect the rights of the citizens in that State to keep and bear arms, then the State needs to adopt a “gun rights” amendment. But if that State or the people of Chicago want to prohibit “gun rights,” they can do so. The precedent is there in the founding period. Pennsylvania, for example, had very strict gun laws in the founding period after the 2nd Amendment was ratified. I support the Constitution as ratified by the founding generation, the federal republic of the Founders, not a national government, and thus reject both DOMA and the McDonald case. Thanks for the “reminder,” but again your understanding of the Constitution as ratified needs some work. The States were prohibited from performing certain functions through Article 1, Section 10, mostly in regard to foreign commerce and diplomacy, but the States had carte blanche over all domestic concerns. That is how the proponents of the Constitution sold it in 1787 and 1788 and one of the only reasons it was ratified. So the States could, for example, establish a church (three had State churches well after 1788), pass “gun control” laws, regulate marriage, regulate criminal law, etc. The Supremacy Clause which you so often cite is not applicable in that regard. I didn’t “presume” anything. I have been invited by my brother to write for the site and as such read through several of the posts, including yours. Suggesting that you read my book was not “advertising.” I was trying to help you—give you some necessary “Constitution 101.” I could even autograph it for you if you like. Of course, if I decided to write for the site, advertising my books would be part of the gig.